The history of the dispute over Belizes' borders begins back in colonial times when Spain and the United Kingdom fought over the vast natural resources that could be available to them in Central America. 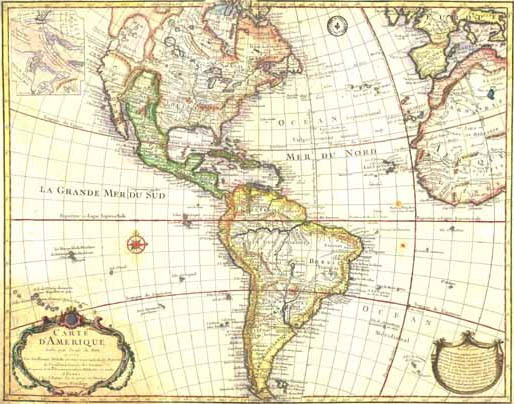 Spain had land in Guatemala and the United Kingdom wanted to hold on to Belize (then known as British Honduras) for the resource of timber and land that would be available to them. Once Spain left it was up to the Guatemalans to fight with the United Kingdom over its land borders with Belize. The fight over the land and natural resources of this area was not the bloodiest or the most publicized, but it lasted for several hundred years. Today, Belize is a recognized sovereign state by all the former countries involved with the struggle over its land and borders. The land that is now called Belize has been occupied by people for centuries. Numerous ruins indicate that for hundreds of years Belize was heavily populated by the Maya Indians, whose relatively advanced civilization reached its height between A.D. 250 and 900 ("About Belize", 2006). Belize or British Honduras (as it was originally called), started as a colony of the United Kingdom in Central America. The first reference to European settlement in the colony (of Belize) was in 1638 ("About Belize, 2006). Spanish settlers had already taken most of the land from the Mayans and were using the resources, mainly the timber available from its colonies to send back to Spain. Spain then allowed the United Kingdom to use Belize as a colonial settlement and to then cut and export the timber from the land and send it back to England. However, eventually Spain changed their mind and wanted back the resources from the land, but the United Kingdom refused and at that time the Spanish settlers were being forced out of the Americas through conflicts. By the 1820's, when Spain was ousted from the Americas, the settlers had penetrated as far south as the Sarstoon River ...Guatemala, claimed sovereignty over Belize as an "inheritance" from Spain("Government of Belize, 2006). Guatemala felt that it had inherited its right to the territory of Belize from its former colonial owner. This felt this right included the access to the Belizean forests for logging. Unfortunately for the people of Belize, the United Kingdom still had its colonial holdings in British Honduras and did not want to leave because of the natural resources in the area. Therefore, tensions between the United Kingdom and Guatemala increased as they both felt they had the rights to the land. Then in 1859 there was a treaty signed by the UK and Guatemala that gave the right of the land to the British and made official boundaries between it and Guatemala and then a couple of years later the land was officially known as British Honduras. However, in 1940 Guatemala decided that the treaty from 1859 was void and that they had the rights to the land and wanted the British to leave. In 1940 Guatemala declared the treaty to be void, a Guatemalan Constitution in 1945 declared Belize to be Guatemalan territory ("Government of Belize", 2006). It wasn’t until 1981 that Belize won its independence from the United Kingdom, however Guatemala still refused to recognize it as being a sovereign country. It took over ten years, 1992, before Guatemala recognized Belize as a soverign country and then after another eight years went back on their word and again tried to take over Belizean territory. Some influential forces in Guatemala were opposed to the recognition of Belize, and Guatemala's claim to Belize was restated in 1994 and more elaborately in October 1998, when the new position claiming more than half of the territory was put forward("Government of Belize, 2006). Even after seveal years of official recognition, Guatemalan squatters continue to settle in the largely uninhabited rain forests of Belize's border region ("CIA World Factbook", 2006). Belize is a prime example of what types of problems can be left behind after the colonial powers leave without adequate infrastructure and institutions for the people. Usually Africa is the most common example used for post-colonialism destruction, but Belize also works. Two former Imperial powers, Spain and the United Kingdom, both had their colonies in the same area and were constantly fighting over the land and its natural resources. After Spain left, Guatemala took up its fight and the result was increased tensions between Britain and Guatemala. Eventually when the British left the area, it was up to the people of the area to decide what was what. Since, there had been no real boundaries and the people had no real understanding as to who owns what conflicts arose. 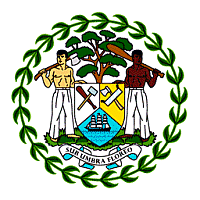 A basic fight over timber has led to a long lasting fight over territory, which shows how important the environment and natural resources are to an economy (as shown below even in Belize's coat of arms a tree features). The durational of the fight over Belize and its natural resources has lasted over several centuries. However, the dates of 1940 and 1981 are from when Guatemala declared the previous treaty granting Belizean independence void (1940) and when Belize officially gained its indepedance from Great Britain in 1981("Government of Belize", 2006). It began back in early colonial times when Spain had much of the control over the land in Central and Southern America. It has continued on till the last several decades through the fight of Guatemala to take some of these resources away from Belize and cause political trouble. However, the actual fighting was not so long lasting and sporadic fights between the different actors have been few and far between with mostly non-violent conflicts occurring. The country of Belize is located in the North-Eastern corner of Central America on a sub-tropical latitude. It is bordered by two countries, Mexico to the North and Guatemala to the West, and on the East side is the Caribbean Sea. The inner coastal waters are shallow and are sheltered by a line of coral reefs, dotted with islets called 'cayes', extending almost the entire length of the country ("About Belize"). In addition, There are many rivers, some of them navigable for short distances by shallow-draught vessels and a large part of the mainland is forest ("About Belize"). Therefore, the two main agricultural industries for the economy are from timber logging and fishing. 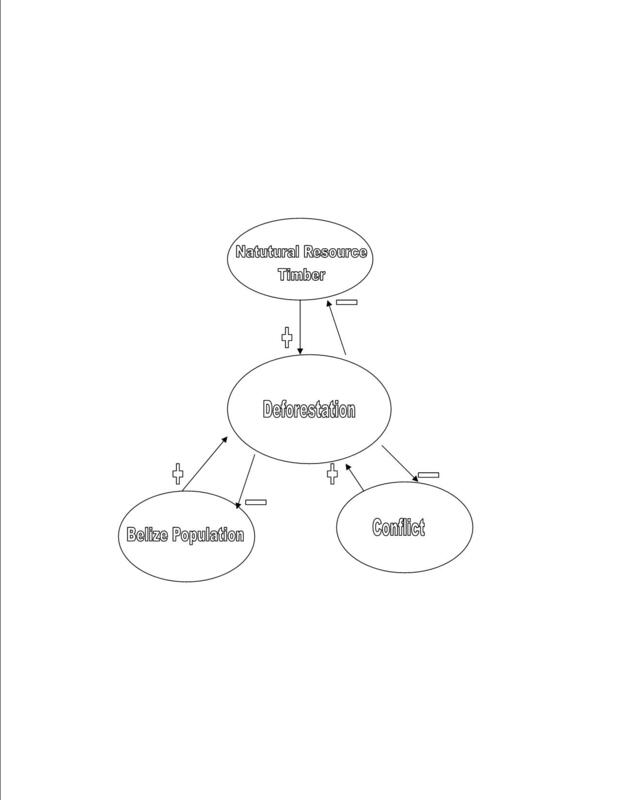 There are four main actors in this conflict. They are the United Kingdom, Spain, Guatemala, and Belize. These four actors are all states (or a territory in Belize’s case during part of the time) and the conflict occurred at the state level. The climate of Belize is subtropical, tempered by trade winds. Temperatures in coastal districts range from about 10 °C (50°F) to about 35.6°C (96°F); inland the range is greater ("About Belize", 2006). It sits in Central America alongside the Caribbean Sea and is bordered by Guatemala and Mexico. Because of its southern location the temperatures remain high year round. The land has its raining season in the summer and its dry season in the winter with the south receiving more annual rainfall. The act and the harm site are both located in the same country of Belize. However, any of the fighting that occurred would not have taken place in the forests where the environmental impact would be felt, but in the town and low arable lands around the cities. Guatemala and Spain along with the United Kingdom have all combined to cause harm to the land and the forests in Belize. The conflict over the natural resources that Belizean land offered was between the United Kingdom and Guatemala. Therefore it was not a civil war but a war between two countries. The level of conflict over this land would be considered low. While there is not a lot of data that supports actual fatality numbers, the fatality numbers would seem to indicate there were less than 1,000 fatalities. The case of Belize is from a direct conflict over an environmental issue. The environmental issue was the natural resources found in the area of Belize, such as the timber and the actual land. The United Kingdom fought directly with Spain and then Guatemala (Spain’s former colony). 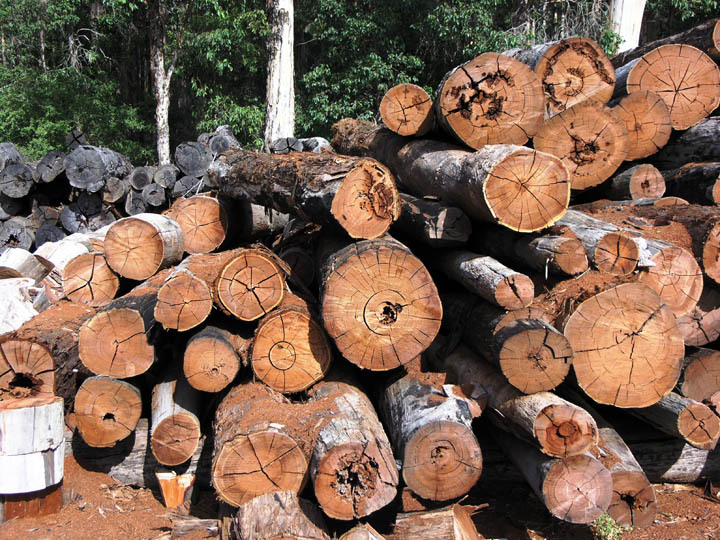 A rise in timber interest and money earned through harvesting caused the level of conflict to increase as the incentive for profit increased. There are several levels of interest in the fight over Belizean resources. One would obviously be the state level since Belize loses its availability to its own resources if others are taking it from them. Another is on the regional level. Even though the fighting mainly occurred in the Belize/ Guatemala area, the other countries in the same area would have been affected by fighting in their close proximity. Also, there was a multilateral level of interest since the parties to the conflict occurred in Central America and Europe, although the fighting was only in the Central American region. The outcome of the dispute as the United Kingdom being the decision maker would be that they came to a compromise/ defeat with the Belizeans. They eventually recognized Belize’s independence and let them take over the responsibility of its natural resources and land. BELIZE Belize Logging Conflict This case study explores the clash between the Belizean government's need to attract foreign currency through meeting commercial interests of a Malaysian logging firm and the Mayan people's material and spiritual need to preserve the rainforest. KHMER Khmer Rouge and Wood Exports On September 22, 1992, Cambodia's provisional national council agreed to a moratorium on log exports. One reason for the moratorium was that intensive deforestation caused massive flooding in Cambodia. Nicaragua- Honduras Territorial Dispute The Central American countries of Nicaragua and Honduras have a long history of territorial disputes, dating back to the year 1906, when they were in dispute over a coastal area. The dispute of these two countries continues today. SAHARA Sahara Dispute and Environmnet Morocco and the Polisario Front are contesting the Western Sahara, a 266,000-square kilometer territory in the northwest corner of Africa. SPRAT Spratly islands Dispute The Spratly Islands of the South China Sea are a potential tinder box in the region. Approximately 44 of the 51 small islands and reefs are claimed or occupied by China, the Philippines, Vietnam, Taiwan, Malaysia and Brunei. The conflict is the result of overlapping sovereignty claims to various Spratly Islands thought to possess substantial natural resources. "About Belize". Government of Belize. 2006. http://www.belize.gov.bz/belize/welcome.shtml. Bianchi, William. Belize: The Controversy between Guatemala and Great Britain over the Territoy of British Honduras in Central America. New York: Las Americas Publishers. 1959. The CIA World Factbook, www.cia.gov/cia/publications/factbook/geos/bh.html . Clegern, Wayne N. “New Light on the Belize Dispute”. The American Journal of International Law. Vol 52 No 2 April 1958. The Government of Belize, www.belize-guatemala.gov.bz/support/british.html . Hammond, Norman. “The Prehistory of Belize”. Journal of Field Archeology. Vol 9 No 3 Autumn 1982. Payne, Anthony J. “The Belize Triangle: Relations with Britain, Guatemala, and the US”. Journal of Interamerican Studies and World Affairs. Vol 32 No1 Spring 1990. Thomson, Peter. Belize- A Concise History. Oxford, UK: Maxmillian Caribbean. 2004.